I done it! my 2006 christmas card! it really is only my second digi layout . I didnt have any snowflake brushes so i downloaded a font from www.dafont.com it seemed to work quite well! Just need to get them printed now, last year i had them done at snapfish but this year my stepdad is going to do them for me for free ! Oh well back to packing! Hey, I just found your blog through Maria’s… Love it! Wonderful christmas card!! Gorgeous! Gosh, I’ll have to make a start on mine soon. 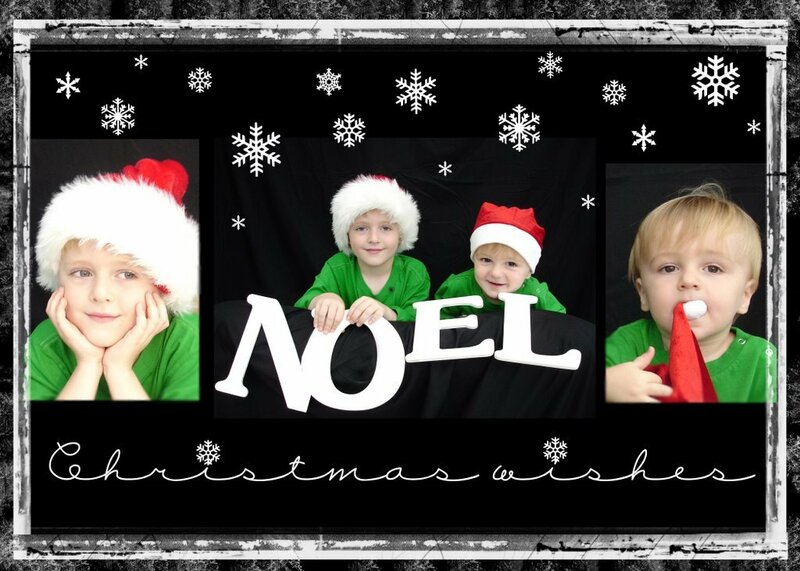 Gorgeous Christmas card & Done early to boot, WTG!